Samsung Galaxy S6 is not an exception to be released into selected markets such as middle-East and Africa by Samsung Mobile. Samsung Mobile has now revealed the prices for their Galaxy S6, the Galaxy S6 Duos (Dual SIM) and the Galaxy S6 Edge. The Samsung S6 is expected to come in black, white and golden color variants at launch with the blue color for the Galaxy S6 and the green color for the Galaxy S6 Edge which will be coming out a month after other colors is available in the market. The Samsung Galaxy S6 is covered with an iconic metal silhouette and ultra slim bezel which creates a sophisticated profile. Inside is the fastest, most powerful processor ever to be put in a Samsung smartphones. The Samsung Galaxy S6 edge completely redefines design. The dual Edge screen enhances the user experience, offering fluid, uninterrupted access to information and real-time alerts. No information on the global release of the Galaxy S6 Duos yet. Samsung will launch their Galaxy S6 and Galaxy S6 Edge devices in India March. It is clear at the above price structure that the Galaxy S6 is slightly cheaper than the Apple iPhone which costs about 707.60 US Dollar for the 16GB version or 816.50 US Dollar for the 64GB version. 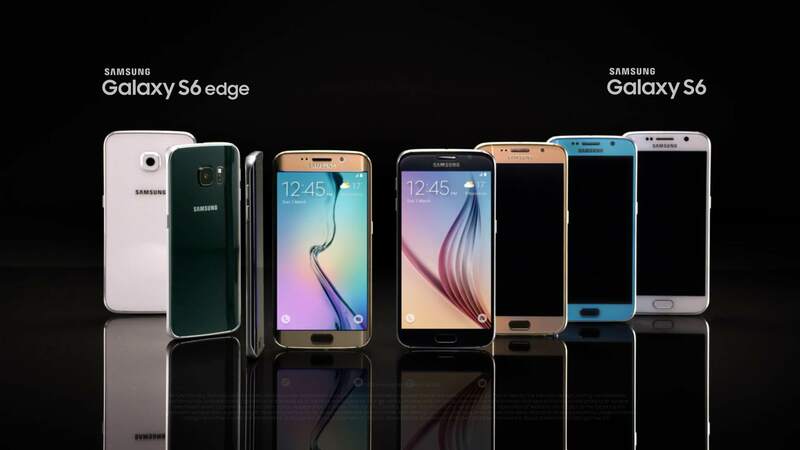 The GalaxyS6 and the Galaxy S6 Edge is expected to be between N100, 000 – N150, 000 during its launch in Nigeria.